It’s not uncommon for individuals to have questions about what is or isn’t normal for a child. After all, many parents want to do what they can to ensure that their child grows up happy, healthy, and well-rounded. In particular, some common questions that parents have when it comes to their child regard what behaviors and developments are considered normal. If your child is enrolled in first grade, kindergarten, pre-k, or preschool in Pembroke Pines , and you’re wondering if his level of development is normal for his age, then there are some indications that you can watch for which may show that he is gifted. 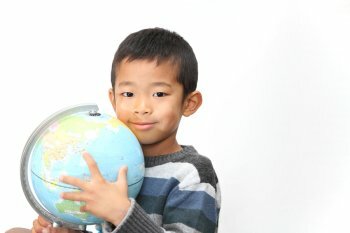 What qualifies as gifted varies depending on where you live and who you ask. However, some signs that can indicate that your child may be gifted include good communication skills, a love of reading, the ability to learn information quickly, and strong problem-solving skills. 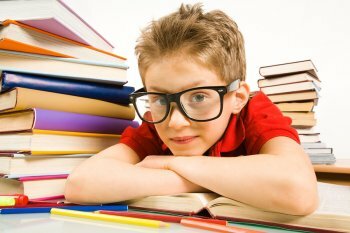 A child that is gifted may also embrace intellectual challenges, understand ideas easily, and have a high level of curiosity. Is your child attending preschool, pre-k, kindergarten, or first grade in Pembroke Pines , and do you want to keep her mind active while she is out of school for the holidays? If so, then watch this video for some enrichment activity ideas for your child to engage in over winter break. As a parent, you may have noticed that your child is more active and engaged when she is out of the house, meeting new people, and trying out new activities. To help her stay mentally stimulated over winter break, consider bringing her to your local children’s museum, her favorite park, or the city zoo. Is your pre-k child being introduced to the alphabet in school? If so, then as a parent, you’re probably eager to support your student along his path to reading literacy. 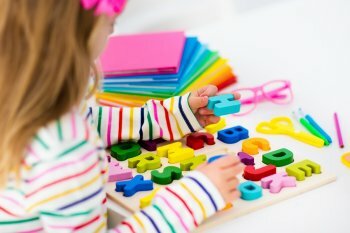 If you’re wondering what you can do to help your child in pre-kindergarten in Pembroke Pines with letter recognition, then read on for some tips to try. When it comes to helping your pre-k student enjoy the process of learning how to recognize letters, starting with the letters that spell some of his favorite words can be a great strategy for sparking his enthusiasm. Many parents find that their child’s name is a good place to begin. Other words to consider focusing on include his favorite color, food, activity, and animal. Making letters into something more artistic and tangible is another way to engage your child in the letter recognition learning process, and one way to do this is to turn letter recognition practice into an art activity. So, consider bringing out the finger paint and paper and letting your student draw the letters that he is learning. Helping your child with letter recognition outside of school does not require that you set up special activities. After all, there are letters all around your home and community. Because of this, you can turn everyday tasks like reading the newspaper in the morning or buying food at the grocery store into opportunities to help your child recognize letters. Finally, one more excellent way to help your pre-kindergarten student with his ability to recognize the letters of the alphabet is to provide him with a 3-dimensional perspective. To do this, simply toss some letter shapes, for example, the magnetized kind that you may have on your refrigerator, into a bag. Try starting out with 4 or 5 of the letters that your student is learning and then encourage him to identify each one while feeling them in the bag instead of looking at them.